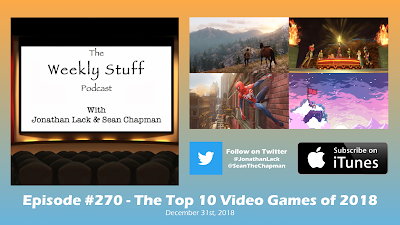 In our final episode of 2018, we reflect on another amazing year in gaming with countdowns of our Top 10 Video Games of the Year. 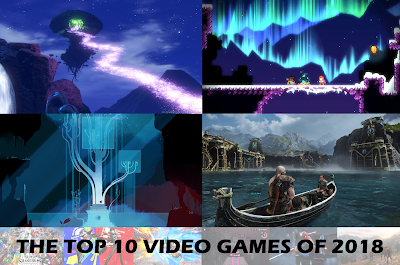 This was a rich, varied, and incredibly surprising year for video games, with some expected hits and out-of-left-field delights making both of our lists. There’s more crossover this time between our two countdowns than in recent years, but also some big points of departure, which makes for a really great conversation as we reminisce upon the year’s great games. 2018 has been the biggest year for our podcast ever, in more ways than one, and we’re so grateful to have had all of you along for the ride! Enjoy the show, and we’ll see you in 2019! After a few lean years at the start of this console generation, it is abundantly clear that we are living in an absolute golden age for video games. At the end of 2016, I remember thinking I was never again going to have a Top 10 list as brutally competitive to construct; then 2017 came along, delivered bold new entries in almost all of my favorite ongoing franchises, and made 2016 look like child’s play. 2018 has been a similarly great year, one perhaps even more surprising than the great years of recent memory. Amazing video games came from all directions, some expected (Sony and Nintendo’s first-party development continuing to hit it out of the park), some completely out of the blue (indie developers delivering a steady string of jaw-dropping artistic visions). And once more, I find myself at years’ end struggling mightily to narrow things down to a mere 10 titles – and mightier still to actually rank them. A few short observations on the list itself before we begin: For the first time, I played all of these games on a grand total of just two consoles – the PS4 and the Nintendo Switch – as Microsoft for the second year in a row failed to produce any notable exclusives and the Nintendo 3DS, a stalwart of my countdowns, survived mostly on ports and remakes. That said, there are more third-party and cross-platform games on this list than I had last year – five, if you count console/PC as cross-platform – despite the strength of exclusives. My Honorable Mentions list is just chock-full of genuine greatness, and looking at what did and didn’t make the cut for the Top 10 itself, I’m pleased with just how completely this countdown reflects my personality, interests, and obsessions, as all honest ‘best of’ lists should. 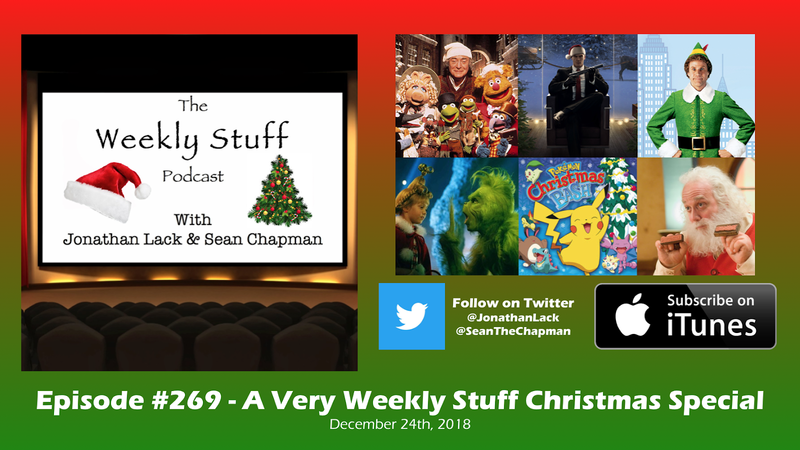 Since Monday fell on Christmas Eve this year, we thought we’d put together a special Holiday-themed episode this week, complete with gift-giving, Jonathan’s impromptu list of the best (and worst) Christmas movies, a shared rant about people who care too much about Die Hard being a Christmas movie, and more! We also chat a bit more about Super Smash Bros. 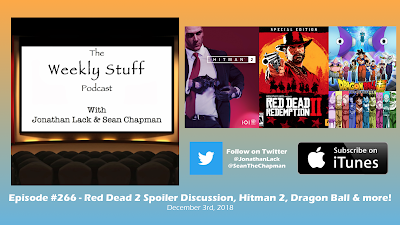 Ultimate and Hitman 2, before arriving at our main holiday topic: A live reaction/review of the worst Christmas album ever recorded. I won’t spoil the album’s identity here, but suffice to say, it makes for one of the silliest and most entertaining segments we’ve ever recorded. Enjoy, and happy holidays to all! Mary Poppins Returns is a film that has no business working, and that it somehow does, even counting a small multitude of imperfections, is a minor miracle. Here is a 54-years-later sequel to what is undoubtedly the second-most iconic movie musical in Hollywood history, lagging only The Wizard of Oz in its grip on our cultural memory, arriving on the same wave of weaponized nostalgia that’s seen Disney cranking out remakes, reboots, sequels, and ‘reimaginings’ of every property in their vault, most of them as soulless as they are profitable. (In today’s context, Mufasa’s famous “Everything the light touches is our kingdom” line, repeated in the trailer for next year’s remake, sounds less like fatherly wisdom than it does a pointed corporate threat). It doesn’t help that the movie musical is a genre all but dead and buried today, with few alive who know how to construct a competent example, nor that the director chosen for this particular task, Rob Marshall, hasn’t made anything less than ‘disastrously terrible’ since his film debut in 2002’s Chicago (which worked in large part because of a strong cast and adherence to Bob Fosse’s singular choreography). 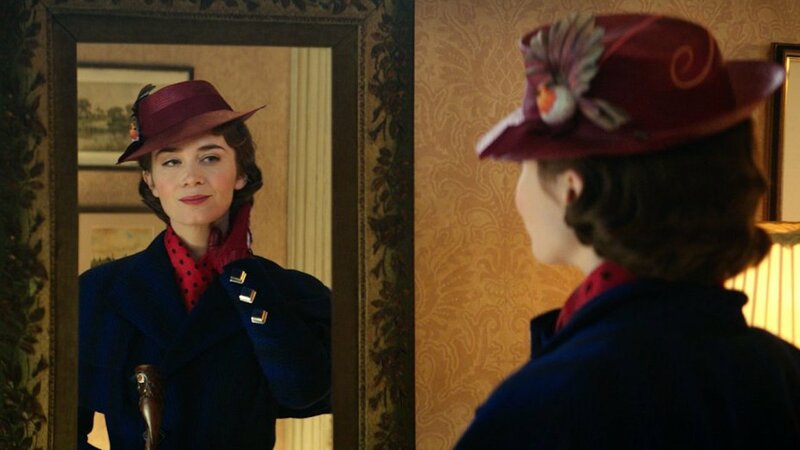 And yet…Mary Poppins Returns works. Not perfectly, nor all the time, but beautifully enough and often enough to elicit smiles, laughter, awe, and, if not a tear, than at least a strong twinge of pathos. Its performances are outstanding, its musical numbers frequently marvelous, and it avoids even a hint of the crass, winking postmodernism or overwrought expository ‘world expansion’ that has defined Disney’s recent live-action output (I’m looking at you, Alice in Wonderland andBeauty and the Beast). This is a far more heartfelt, human, and purely, passionately creative endeavor than any of Disney’s recent catalogue mining expeditions, and if it doesn’t ultimately sit on the same shelf as the original, well, it obviously never could. That it exists as a more-than-worthy complement to Walt’s most beloved classic is no small thing. Spider-Man’s incredible year continued this week with the release of Spider-Man: Into the Spider-Verse, the web-head’s first animated movie and the first to star Miles Morales. It’s also one of the best superhero movies ever made, not to mention maybe the single most innovative and imaginative use of CGI animation since Toy Story pioneered the format in 1995. This is a truly special movie, one with tons of heart, a lot of laughs, and a big dose of eye candy, and we dive deep with all of it. Jonathan also talks about his continued enjoyment of Super Smash Bros. Ultimate for Nintendo Switch, Sean reviews more of Hitman 2, and we answer some listener mail to round out a really fun episode of the podcast. My short film, FOUNDATIONS, is now online. It's an experimental work I made as part of my PhD work this year, combining dialogue from The Book of Job with imagery captured in and around Iowa City, with an original score composed by my brother Thomas Lack. So if you're interested in seeing something I made, instead of me commenting on things other people made, this is for you! I thought it turned out pretty well and really enjoyed working on it. Hope you enjoy. It’s another packed episode this week, as we give impressions on one of the year’s biggest game releases and dive into the depths of depression with the worst Doctor Who season ever. But before that, Sean and Jonathan go over all the news out of this week’s Game Awards event – including the most surprising DLC announcement in years – and give continuing thoughts on a variety of recent games, including Hitman 2 and the Persona 3 and Persona 5 dancing games, now available in English. 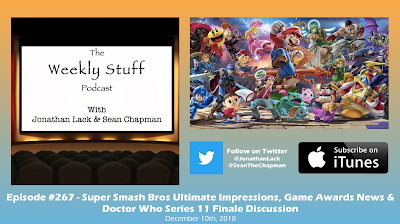 Jonathan gives impressions of the amazing Super Smash Bros. Ultimate for Nintendo Switch, and we then commiserate over the miserable experience that was the Doctor Who Series 11 finale. 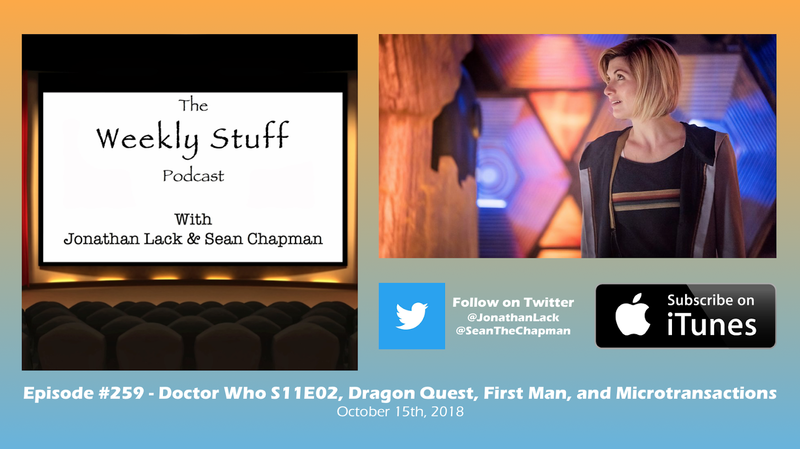 We talk about where the episode and the season went wrong, but also go deeper with the season’s treatment of diversity, arguing that a season that appeared progressive on the surface wound up being politically regressive in a number of ways, betraying the character of the Doctor and wasting an opportunity to meaningfully evolve the status quo. It’s one of the most in-depth discussions we’ve had about any topic in the history of the podcast, and we hope you’ll give it a listen. The Weekly Stuff Podcast #266 – Red Dead 2 Spoiler Discussion, Hitman 2, Dragon Ball, and more! 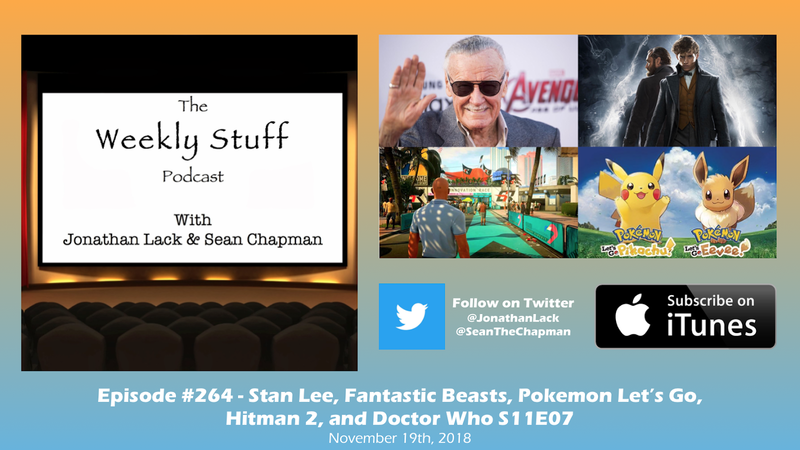 On this week’s wide-ranging episode, we come back from Thanksgiving break to discuss two weeks’ worth of news, including the announcement that Neon Genesis Evangelion is headed to Netflix, while more Marvel shows like Daredevil most certainly are not, before giving continued impressions on a bunch of recent video games like Hitman 2. 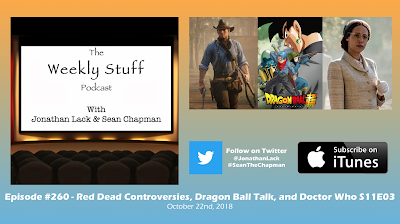 Jonathan talks about finally nearing the finish line in Dragon Ball Super, and finally discovering what insanely cool thing Goku did in Episode 116 that Sean lost his mind over this time last year. 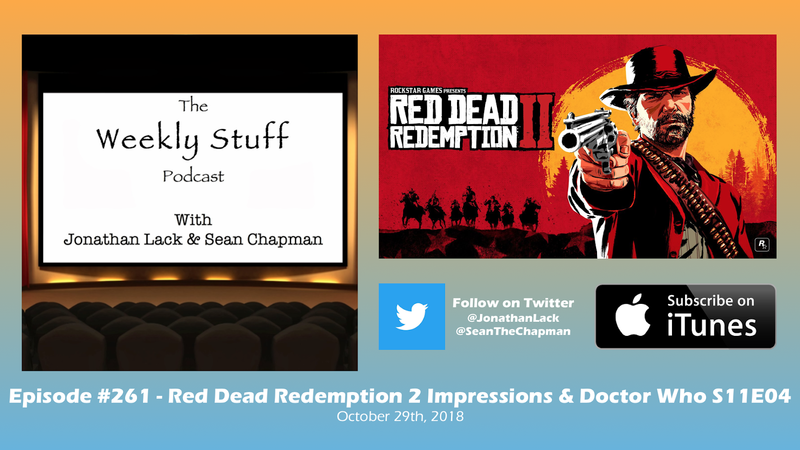 And for our main topic, we dive deep with the story of Red Dead Redemption 2, in full spoiler detail, now that we have both finished this very long, and very good, video game. 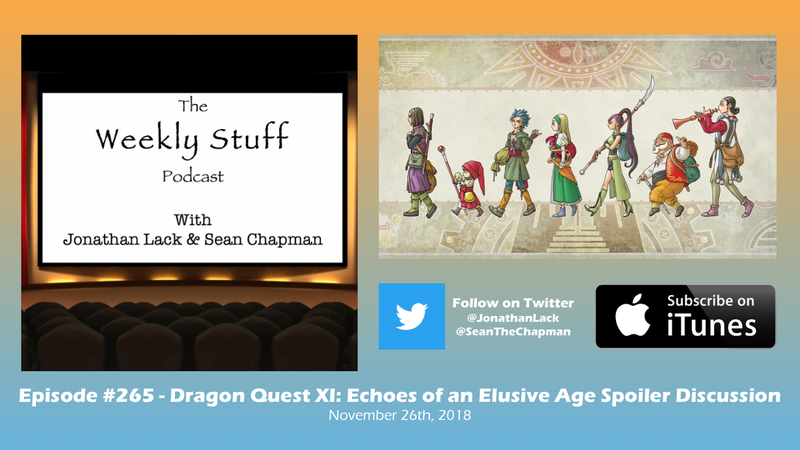 In this pre-recorded post-Thanksgiving episode, we finally sit down to talk about one of our favorite games of the year, Dragon Quest XI: Echoes of an Elusive Age. After 100 hours apiece and many happy memories, we have both completed this epic JRPG experience, and have a lot to say about what is easily one of the genre’s greatest accomplishments. We’ve talked about the game without spoilers a few times before, but for this episode, we go into full spoiler detail about the game’s story, characters, and world. And if you’re not into Dragon Quest, we also review the wonderful Creed II and discuss Kotaku’s recent in-depth report about Blizzard, the development of Diablo IV, and the creation of Diablo Immortal. 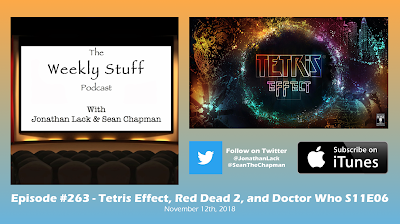 This week brought us another disappointing episode of Doctor Who, a lot more time with Rockstar’s Red Dead Redemption II, and the final Nintendo Direct for next month’s Super Smash Bros. Ultimate. 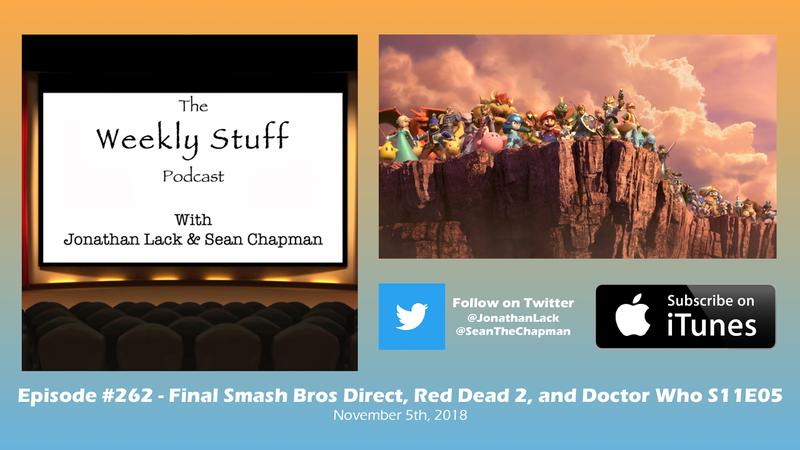 We talk about all of this and more, going through all the announcements from Masahiro Sakurai in Nintendo’s event, continuing to be depressed about Chris Chibnall’s Doctor Who writing, and discussing how wildly different our experiences with the vast, weird world of Red Dead Redemption II have been (once again without spoilers, as neither of us has finished the story). 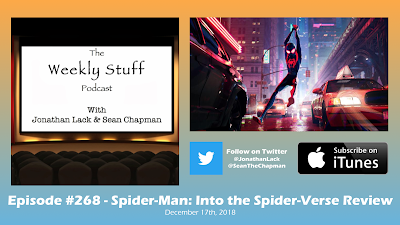 Sean also reviews the first DLC for Marvel’s Spider-Man on PS4, Jonathan reviews Luca Gudagnino’s Suspiria, and we encourage all our American listeners to go vote in tomorrow’s elections, because it is our civic duty, even if we’re hosting a silly niche podcast. The biggest game of 2018 has arrived in Rockstar’s long-awaited Red Dead Redemption 2, and after a solid weekend of play, we give our initial, spoiler-free impressions of this massive, wildly ambitious sequel. It’s an amazing game so far, almost mind-bogglingly vast in scope yet surprisingly intimate in tone and story. We break down what we’ve seen so far, while also grappling with the latest news about Rockstar’s problematic culture of crunch during development. And after that, we review this week’s Doctor Who, “Arachnids in the UK,” the fourth disappointing episode in a row from the new creative team, and one that continues to leave us disappointed at how the show is squandering its excellent cast in stories lacking even baseline narrative or thematic competency. 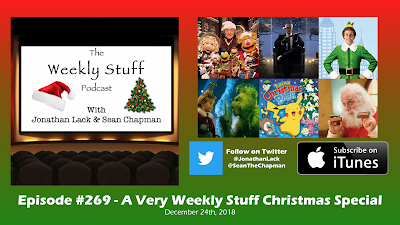 We also go over the shuttering of Filmstruck, the streaming service that has been the online home of The Criterion Collection, while Sean reviews Netflix’s The Haunting of Hill House and Jonathan continues his adventures catching up on Dragon Ball Super. It’s a calm before the storm kind of week, as we prepare for the biggest video game of the year next week in Red Dead Redemption 2, which is galloping into stores upon a trail of controversy after comments about Rockstar’s working conditions in an interview last week. We break down all that news, discuss Netflix’s move to start cancelling their Marvel shows, and do a good bit of Dragon Ball talk – including Jonathan ranking the Top 10 Characters he wants to see in the next round of DLC for Dragon Ball FighterZ – before diving into this week’s problematic Doctor Who, “Rosa.” It’s an episode that means well, but handles its heavy subject matter in some troublingly tone-deaf ways. Doctor Who continues its new season this week with “The Ghost Monument,” an episode that improves on the premiere, but also reveals some real limitations in Chris Chibnall’s writing style. We discuss the episode in depth, including the new opening credits, TARDIS design, and more. But before that, we also chat more about Dragon Quest XI, Jonathan reviews Damien Chazelle’s First Man and talks about finally getting to the good stuff in Dragon Ball Super, and we go over the last week’s worth of news, including PSN finally allowing users to change their name, Microsoft potentially purchasing developer Obsidian, and the latest kerfuffle surrounding microtransactions in video games.